The definition of success can go on and on. Many people see success from different perspectives. Even all the people around you think that you are successful, having branded car, elegant house and excellent lifestyle; you still have to ask yourself; is this all what you want? Do you have anything else that means more than physical possession? Do you feel happy and satisfy? There are people who attain success through unscrupulous actions. They might become the king in their undertaking, but they might not be able to enjoy their career with passion. There are also people use unethical ways to win a business deal and sweep others under the carpet. These are greedy people who don’t deserve real success in life. They might be looking good outside, but the inner heart is full of rubbish. They play dirty games to get what they want. They just think about themselves and they don’t care about the victims who lost everything in life. But don’t get me wrong. I am not intended to offend anyone here. I just wish to say that “characters” are the foundation of your happiness. When you have a right mental set up, you will handle your friends, your family and your life with great approach. There are people who boost his success so much that they forget about the meaning of humble. There are also people who were so successful that they forget about social responsibility. Some so call rich people are tight up with heavy commitment on various luxurious items and do not have any extra money for their parents. I strongly suggest that all youngsters have to back up their life with right characters before they march into their respective career dream. Learn to reprogram your inner soul using various personal development tools. Learn to refill your inner heart with abundance of love and care. When your thoughts are right, you start to do right things, and you will surely feel satisfaction in all your endeavors. Is successful life matter so much to you? 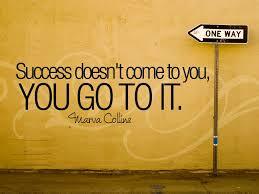 Is success an important subject in your life? Some people don’t like to talk about it for several reasons. They feel like if they talk about success, they are either seriously looking for life improvement due to current shortcoming; or because someone is so successful that he likes to show off. Some even feels that they are not qualified to speak on success due to current life downfall. I have interviewed many people on success matters. Most of them feel that they are successful in certain areas of life. There are exceptional few who feel that they are good in overall life attainment. How about you? How satisfy are you with your current success? How many times you did analyze yourself and examine the major area for improvement? Sadly to say, many people start thinking about success at the end of the year. They start asking themselves, what I want achieve in the coming year? What I can do to make a different in my life. These show that most people do concern about their life success. Than, why many people still go through life without achieving greatness? Why most people surrender to low performance while some others attain world record? Yes, the answer is obvious. People who are serious about success normally will get better result than people who just wondering in despair and poverty. The interesting part of these individuals is that they still longing for success but they are not ready to work for it. In other words, you can give the best success principles to them; they will just keep them in their mind but do nothing to transform these success principles into action. Personally, I have a passion on success even when I was in secondary school. I love meeting people who are successful and listen to their life sharing. I love reading books on personal development. I also love to talk about success. When I start thinking, talking, writing and sharing on success, my success consciousness starts to grow. I start to observe everyone around me, what is their strength that I can learn from. I start to read personal biography of great people through out the ages. I also start to keep newspaper cutting on people who have achieved extra ordinary performance. The success consciousness inside me leads me to the discovery of success principles. 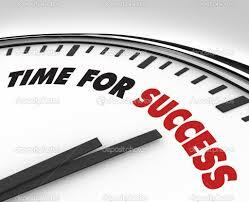 I start to believe that success is a right to those who are ready to live up the success principles. I also start to treasure those success principles and make them part of my daily action. I was surprise with so many things that I can do with my life when lot of people say “I have no time” for success.